At Stimulus, we’re up and baking long before the sun rises. The coast is still peacefully quiet as we start rolling the dough, warming our ovens, setting the coffee to brew. It’s about getting everything ready before the rest of Pacific City even gets out of bed. And it’s all worth it when 6 am arrives and we open our doors to you—and to another perfect day in our little beach town. Stop in anytime for a light breakfast or lunch, a sweet treat, or another cup of Joe. Our coffee is rich, Oregon-roasted, and flowing all the way to 6 pm. Spread out in our airy sunroom, with a few friends or a good thick book. Watch through the big bakery window as we create homemade breads and our signature Beach Buns. Choose from among our fresh-baked pastries (this is the hard part), grab a window seat, and stare out at the ocean. Then sit back, breathe deep, and watch the waves rise…and flow. We bake pastries, sweet treats, breakfast and lunch items in-house daily. Our menu changes seasonally to give our local and visiting customers a variety of options and to allow the ability to use the freshest, in-season ingredients. 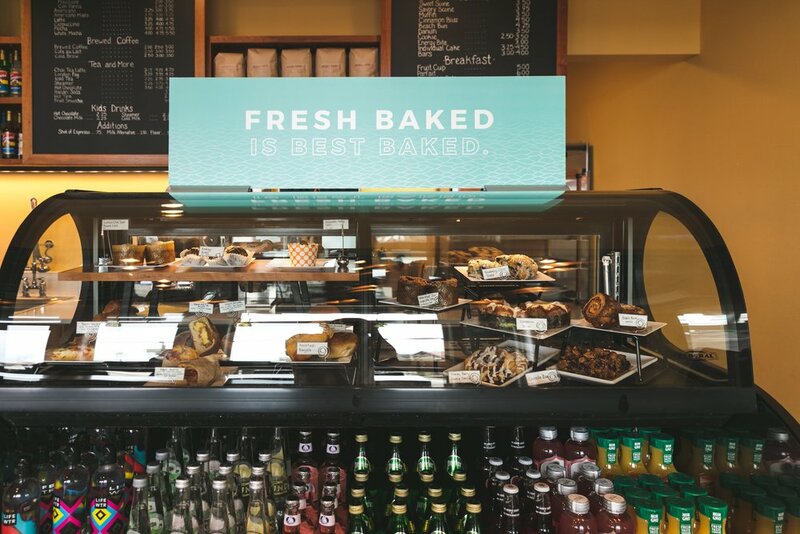 From beach buns, to breakfast focaccia and pulled pork sandwiches to hummus bowls, we have a variety of menu items to keep you satisfied and coming back for more, each time you head to Pacific City. The workday starts for Ana De Lanoy at 4 a.m., when the streets that lead to Stimulus are nearly empty and the sky is velvety dark. On go the bakery lights, the proofing box and the ovens. Then Ana begins two hours of full-steam-ahead baking. Outside her kitchen window, the morning sun turns the clouds a rosy pink, as surfers and dory boats appear on the shore to scout the early waves. By 6 a.m., Ana and her staff will have baked a full display case of Beach Buns, buttery brioche, scones, muffins, Danishes, bagels, and sandwich breads—all warm and waiting for the day’s first customers.